Dive into your very own aquarium in today's player-polled Construction and Fishing update. Pack it to the gills with fish from all over Gielinor and kit out its two floors with a huge variety of accessories, décor and nautical knick-knacks. Introduce a prawnbroker and unlock perks aplenty: including baitless fishing; great white shark to catch, cook and keep as pets; and the ability to cook sushi: high-level food with additional restorative properties. 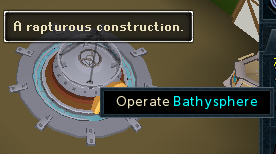 At 63 Construction, head to your player-owned house and click on a ground-floor door to build your aquarium. It spans two levels: a dry room on the surface, and the aquarium itself beneath. Note that this update brings a +1 increase to the maximum rooms available at any given level. The surface room is traditional POH fare, containing hotspots that can be filled with decorative items, and some important functional ones. This is also where you'll place the prawnbroker, who unlocks reward perks and controls various aquarium-related settings, and a diving suit, which unlocks resource harvesting options in the aquarium below. Crucially, it includes the bathysphere, which allows you to add fish to the aquarium, and to head down yourself. Harvesting nodes, yielding seaweed, kelp, pearls and other gems, planks – even elite clue scrolls – on a regular basis. 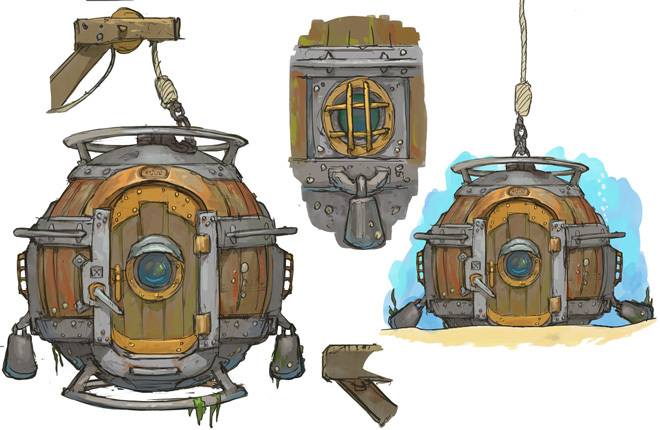 Large, decorative items which grant passive boosts to catch chance at fishing areas around the world. Smaller, purely cosmetic decorations, such as cannons, coral, anchors and stone heads. Plugs, which – when you've collected all the available fish for the aquarium – allow you to reset it. Meant for the most dedicated among you, this prestige option means starting again, but grants you decorative plug locations the first and second times. You will always receive the fish that you were catching when you found the egg, and you can only collect each fish once – unless you reset your aquarium with a plug. As you fish, you will occasionally receive prawn balls or prawn crackers, which can be opened for some fantastically fishy rewards. Prawn balls are opened solo, while prawn crackers are opened with a friend for a reward each. Opening one grants you a reward from a special drop table, which includes prawn coins (consumables which temporarily increase your chance to fish up golden fish eggs), decorations for your aquarium, and – rarely – golden fish eggs for random fish that you don't own, including any for which you don't meet the Fishing requirements. Once you've got a prawnbroker in your surface room, you can start acquiring prawn perks. You'll get one of these each time you get a golden fish egg, and can get more as you acquire prawn balls or prawn crackers. Each prawn perk unlocks a benefit or reward on the prawn perks progression tree, which can be viewed by speaking to the prawnbroker. These include more frequent prawn balls and crackers, the ability to fish without bait, the ability to cook sushi, and a whole lot more. The great white shark is a new addition to RuneScape's marine wildlife. Once its prawn perk is unlocked, it can be caught at any shark fishing spot at level 80 Fishing; is available for your aquarium and as a floating, surface-world pet; and can be used in new sushi cooking recipes. Note that – should you reset your aquarium with a plug - your prawn perk unlocks will not be reset, including your great white shark. There's fathoms of fishy fun to be had as you build and fill your aquarium. Enjoy, and let us know your thoughts over on the forums! Get your hands on the all-new Vitality Suit – in stock later today at Solomon's Store! This eye-catching new override outfit is designed to visually represent your health. As you lose life points, the luminous stripes on the suit will change from their original colour – your choice of green or blue - to a moody red. You can now enable timestamps for chat messages, based on your local time zone – a RuneLabs idea developed by the Ninja Team. This feature can be toggled using the Interface Settings window. Fancy earning some extra RuneCoins or Keys? Try out SuperRewards – our new offer provider. Just click 'Earn' in Solomon's or Treasure Hunter to find out more. Free-to-play players can no longer smith pickaxes that require a members-only quest. Players no longer gain benefits from pulse cores in the Duel Arena. A typo in the Crucible's supreme weapons tutorial has been fixed. Dishonour among Thieves is no longer referred to as Zamorak Heist on the website. A summary for Dishonour among Thieves has been added when speaking to Juna about past adventures. The Dimension of Disaster subquests now only check inventory space for lamp rewards the first time each one is completed. Several audio fixes have been made in New Varrock, so certain effects can only be heard by the player that triggers them. Palkeera's journal no longer refers to Azzanadra. The accuracy and defence debuffs of Sap, Leech, Turmoil, Anguish and Torment have been made stronger. Eating in PvP will no longer lower the global cooldown on abilities. Binding a target in PvP will now correctly bind them at their current location, instead of on arrival at their last chosen destination. Drinking a replenishment potion is once again restricted to the adrenaline potion cooldown. This can be bypassed for just the restore potion effect by right-clicking and selecting "Drink restore". Players can no longer reclaim blood ethereal legs after trading them. Players will no longer receive an incorrect warning message when changing gender at the Makeover Mage with chameleon extract applied. Music volumes have been adjusted, so when the volume sliders are aligned the balance of music in relation to other sounds is improved. A full-stop has been added at the end of the Player-Owned Ports mystic portal examine. The background of the Prayer Stat Adjustments interface is now transparent. The toggle to see the Prayer Stat Adjustments interface has been moved next to the Quick Prayers selection button. Players can now cut oak, willow, maple, yew, magic and elder logs into increasing quantities of arrow shafts. Adjusted the colours on Kuradal's Slayer cape. Receiving a blood shard drop is now broadcast to friends. Receiving a pet edimmu will now be broadcast to the current world. Fastest methods for collecting the first few prawn balls/crackers. Better table of HP/hr fishing. Start with monkfish, but don't go cavefish -> rocktail. A player votes, a bot kills blue dragons. Awesome. Time to destroy my house. How are you guys spending your prawn balls? I've gone for the environmental features in the aquarium first. They give you a bonus chance at golden fish eggs for certain locations, so might as well do that. So I have to make my house lag out every time I tele in because it requires a basement level? Worst update ever. I love the new timestamps for chat, and the fact that you can convert them into local time makes it that much better! However, I do not seem to see a way to change my timezone. This leads me to believe that I am either blind or that it sets automatically. Turns out barbarian fishing is much better hp/hr than monkfish so you should start there for prawn perks. anyone notice...prawnbroker is 8-mahogany item. Yay. I wonder what kind of effect the fletching update will have on the economy. Will it cause arrow shafts to crash? Will regular logs crash as well? Or will the "junk" logs go up in price? Personally, I think all three will happen to some degree. I've barely started hunting these gold eggs and im already bored and hating it. Kinda annoyed this won over a room with an ACTUAL use to it, especially when they've slapped on a bogus time heavy comp req simply to force people to spend some play time on it. Also how frigging annoying are the surface world building materials from prawn balls? Oh great just what I wanted 20 building items I can't sell and have no use for as I already built all the best things! The sad part is that there are some pretty cool things with it, but it's all held back by the usual pointlessly grindy comp requirement stuff. As a mostly cosmetic thing with almost no function it'd be pretty cool if it say took like 5 or 6 hours to do with a comp req. As something that does almost nothing but takes 42 odd hours for a comp req its utterly grindy dullness. The shark outfit is so overpowered. I can't imagine how much worse this update would be without a shark set. Location:Not Nigeria. Who said that? I wonder how the Jagexes will nerf golden crackers to cut down on people scamming trust trade buyers. Great, there's no option to see which fish you already have in your aquarium. :/ Now I need to guess what's a leaping salmon and what's a normal one, and so on.